We couldn't have made a better choice by choosing Emirates to endure 14 hours of air time. So when we landed in Dubai we were ready to get moving. Thanks to Mac's family friend Arlene our first stop was getting UAE sim cards (Stick with Etisalat. Du is the other company which is also owned by the Sheik and has less service). A very smart move especially if you're traveling in groups. Second best move was getting duty free alcohol in the airport. Drinks are really expensive in the bars/clubs and i'll get to that later. We caught the metro to our Airbnb at the Dubai Marina. Our Airbnb was incredible and had amazing views of the Marina right from the bedroom. Along with the views also came the beautiful sounds of the adhan being song by the muezzin from a nearby mosque. We ventured out by metro to the mall and connected with Mac's childhood friend Joanna at the Dubai Mall. Joanna walked us through the 1,200 plus store mall that often felt like a maze. An immediate observation of the people, fashion, and music made me realize how little our understanding is of other countries in the United States. We ate at an amazing restaurant called "Parker's", saw the Burj Khalifa, Burj Al Arab, and the Palm islands. Joanna is the best! Later that night our friends arrived in town and we ventured out in the marina for some of the best lamb and chicken shawarma i've ever had. 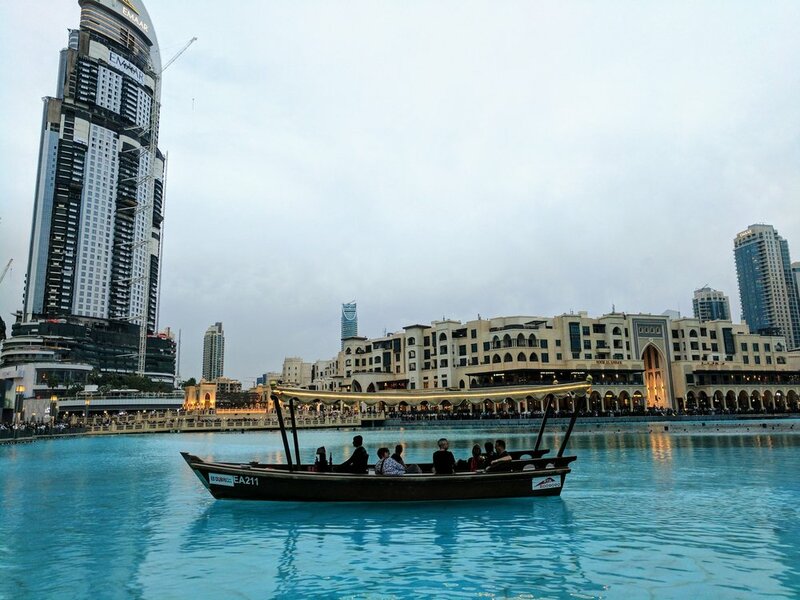 Later that day we revisited the mall, ate at a Lebanese restaurant called "Wafi" for lite bites, and ate dinner KiKu which was recommend by a group member friend that lives in Dubai. That night we had drinks, shisha, conversation, and some of the best views of the skyline in the city at "The one and only royal mirage" in Dubai. Remember when I told you that alcohol was really expensive in at the bars/clubs in the UAE? Well this was the moment I found out, but it was totally worth it. We started this day off with a drive from Dubai to Ajman. What I quickly learned is that I really really hate roundabouts. I would like to visit the creator of roundabouts and give them a firm slap across the face. On the outskirts of the city at every single intersection was a circular nightmare. We finally arrived receiving the warmest ever welcome from Arlene who is a family friend of Mac. She has lived in UAE for 12 years. She offered us a choice between a Thai massage or a Hammam bath. Hammam bath it was and life as we know it would never be the same. I walked into the men's building and quickly realized I was not at Massage Envy. It was a no thrills type of shop with no musical landscapes to soothe the mind, but I remember Arlene telling us that we would feel so clean when we left and that was all that mattered at the time. It started with a 20 minute relaxation period in a steam room. Thereafter I would experience flashbacks of my grandma Sis and aunt Alean scrubbing the black off my behind during summer visits as a child. They did not believe in being dirty and neither did the gentlemen who was scrubbing me. 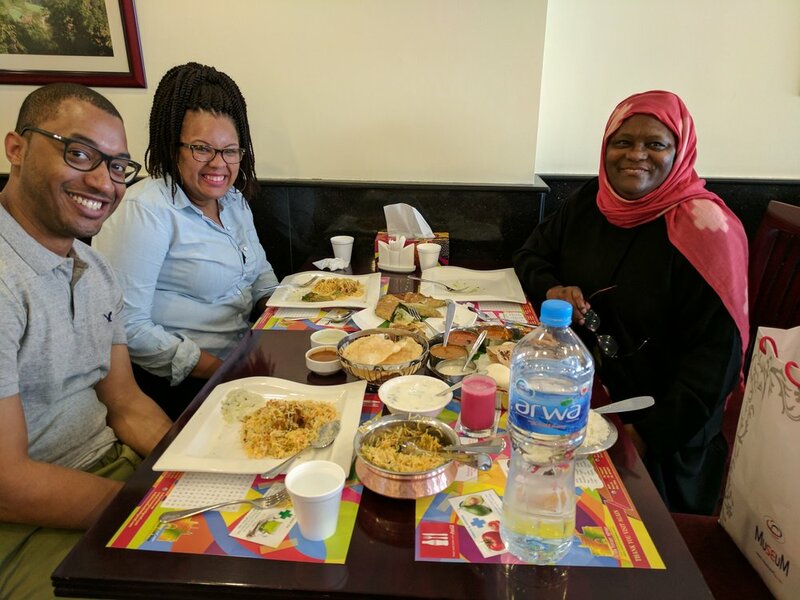 After walking out feeling like a brand new man Arlene then treated us to one of her favorite Indian restaurants in Ajman. The food was delicious and we capped lunch with saffron tea from the shop next door. 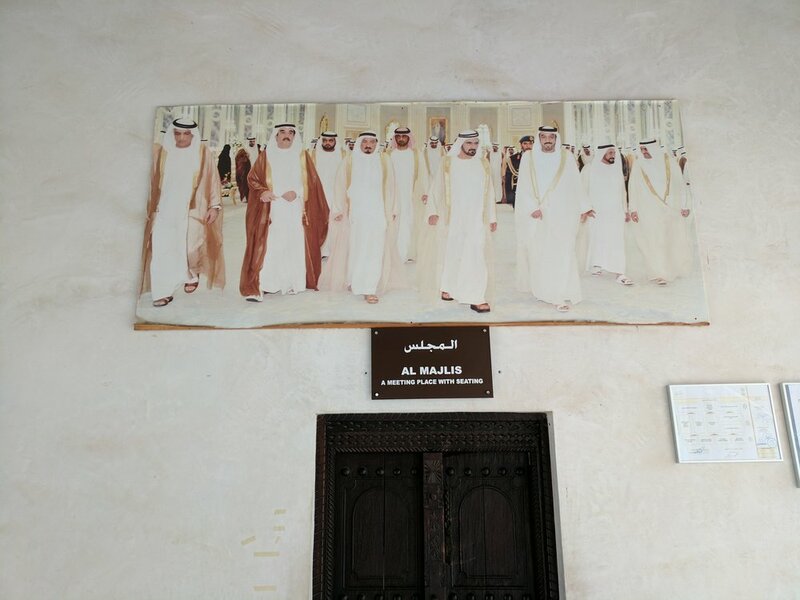 Next we would venture out to the Ajman museum for a cultural and historical enrichment experience. Its incredible how fast things can progress in 40 years. 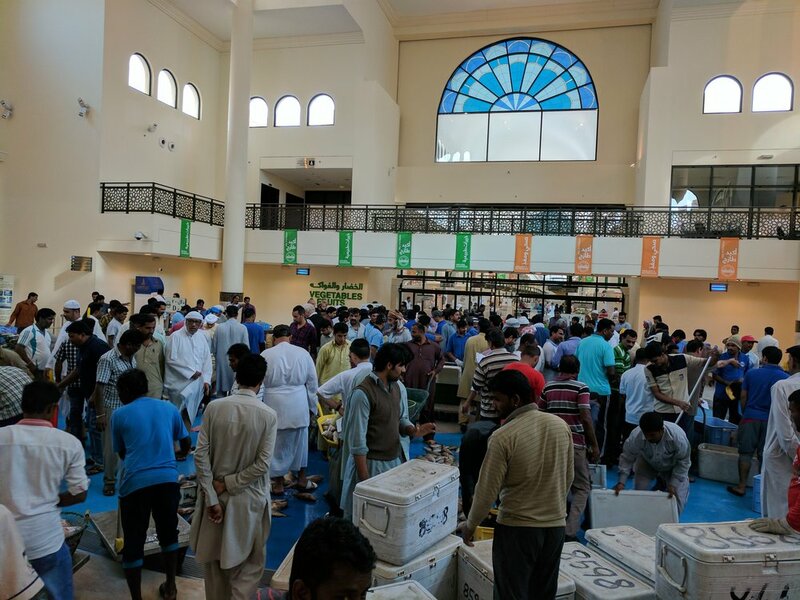 Later we would head out to the fish market in Sharjah. There were all types of fresh fish directly from the boats that were being thrown into a circular area where locals would bid on them to sell at their stands in the conjoining areas. Before we left we stopped by Arlene's to check out some old childhood pictures of Mac and Joanna. Arlene you made this a day to remember and thank you so much for having us as guest. We drove back to the Dubai Marina to get ready for our date night for Valentines day at the Burj Khalifa. 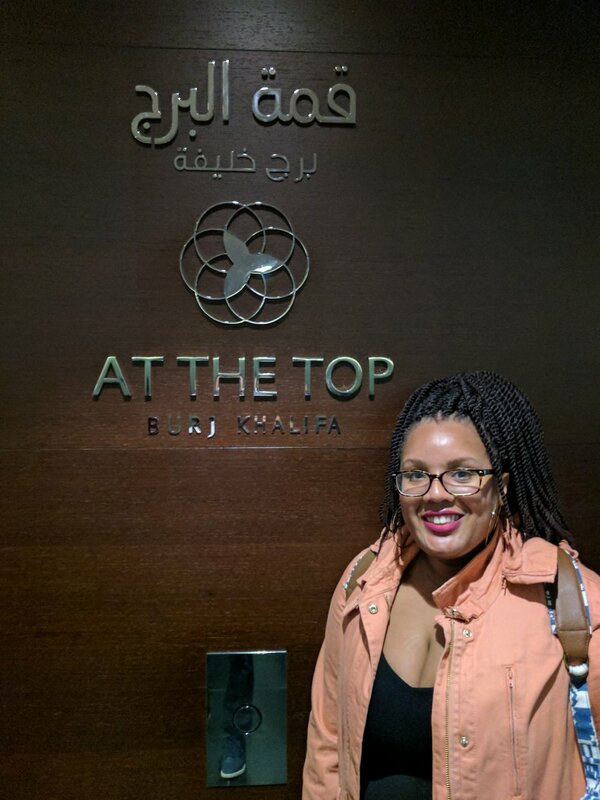 We went up to the 123rd and 124th floors of the tallest building in the world. Words can not describe the views from this place, but it was a special moment that I was happy to share with my Mactastik. We climbed down and had dinner at the "Social House" in the Dubai mall. There we enjoyed being in the moment together and reflecting on an awesome day in the UAE. Its now 1am and a few friends are asking us to join them at a club called "China Grill" at the Westin near the Marina. We had no idea what to expect, but once arriving I knew this was going to be a great time. The DJ had this place going crazy and we danced from the moment we got there until the moment we left. This was by far the best Valentines day ever! Dubai was amazing, but stay tuned for our trip details in Abu Dhabi.